Simple Language, Easy to understand, Each Concept / Topic Explained with the help of Practical Entries in Tally.ERP9. Once you subscribe for the course, you get access to all the videos. Course Description : This Course covers Basic Features of Tally With GST Accounting Entries as well as GST Service Entries. Course Duration : 2 months. 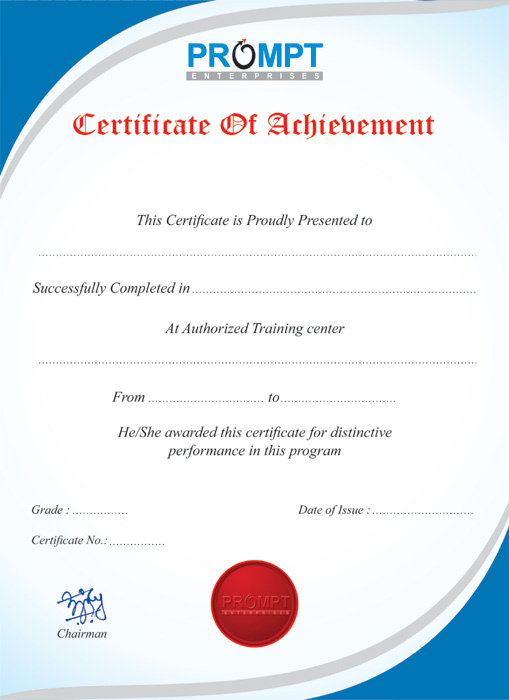 Digital Verifiable Certificate from Prompt Enterprises.